New York Developers and Management is a recognized industry leader in all facets of development and construction management for the construction market sector. Our cutting-edge expertise ensures optimum construction quality, safety and performance with each and every project. At NYDM, we take pride in our longstanding reputation for consistently delivering timely and professionally executed projects, along with uncompromising quality, efficiency and reliability. With a professional takeoff services team of highly qualified estimators and surveyors, NYDM provides crucial insight into the bidding and contracting phase. Our team of estimators maintain the requisite knowledge and hands-on experience, with a minimum of ten years each in in the field of general contracting and sub-contracting. 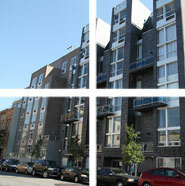 Established by veteran construction manager, Yoel Gruber in 2005, New York Developers and Management Inc. quickly earned its position in New York's construction sector for its "finger on the pulse" of the city's unique variables in general contracting and design/build services. With a wide array of projects totaling millions of SF, NYDM today is recognized a premiere provider of pre-construction and construction related services for the most discriminating clients. Yoel's construction expertise as well as his dedication, focus and passion for his work make up the key components of the NYDM corporate philosophy. The passion for excellence he instilled into the comprehensive corporate structure continues to drive the company in its operations, goals, benchmarks, and expansion to an ever-growing, satisfied client base. In addition to the critical aspects of value-added engineering, execution, efficiency and reliability, NYDM clients benefit from our expertise in guiding owners and developers through the complex process of achieving and retaining compliance on their properties. Most of all, despite our growth, the underlying corporate trademarks of honesty, integrity, and mutual respect are what continue to define us.